We, all the CBF-SEA members offer you our heartfelt congratulations on your ordination as Bishop of North Thailand. The Lord has entrusted you as shepherd of His sheep and lambs. We pray for many blessings, strength and health and also much consolation and joy in this new task. May you always feel the guidance and power of the Holy Spirit in all that you undertake for the Kingdom of God and the glory of His name! Rest assured of our prayers. The Catholic Biblical Federation was established by Pope Paul VI on April 16, 1969 to foster and promote an awareness of the unique significance of Sacred Scripture at all levels of ecclesial life. With its roots tracing back to the Second Vatican Council it sees itself as the advocate of the Bible in the Catholic Church. The Catholic Biblical Federation represents the worldwide multiplicity of the Catholic faith. Its more than 330 member institutions in 134 countries of the world are committed to insuring that people can experience the life-giving message of the Bible in their daily lives. Rooted in the Catholic Church, the Catholic Biblical Federation avows itself to ecumenical and interconfessional dialogue. It promotes tolerance and respect for other cultures and religions and is actively engaged on behalf of reconciliation, justice and peace. 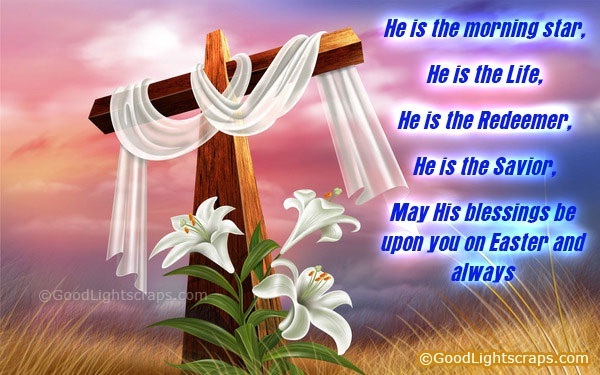 To all our members of the CBF-SEA … our friends, collaborators, animators, bearers of the Word… a blissful Easter to all…. Today, APRIL 1, we, the members of the CBF Southeast Asia subregion joyfully celebrate with the CBF General Secretariat as we thank and praise the Lord for CHRISTA’s faithful service for 20 years! Congratulations, happy anniversary, and heartfelt thanks for all your hard work and all the love you put in it. May our good Lord and Shepherd be your strength and consolation in every new day you dedicate for the cause of spreading the Good News. We walk hand in hand in proclaiming God’s Word to our world today. We strongly believe that the CBF will not be what it is now without your diligent, loving and faithful service for 20 years. Our prayers and love go with you. Thanks for your 20 years of faithful service of the word, not only through your dedicated work as a secretary, but also through your personal love for the word. May the word continue to inspire and guide you! April 1 is worldwide considered – or celebrated? – as April fools’ day. How many times in your lives have you been fooled on that day? Have you ever? Looking back on April 1, 1979, Fely, do you have the feeling that you have been fooled on that day? And Christa, do you think you have been fooled on April 1, 1989? In looking back, do you feel like saying with Jeremiah: “You have fooled me, O LORD and I let myself be fooled?” (Jer 20,7). Or would you rather, seeing a deeper meaning for you in those days, prefer the words of the same Jeremiah: “When I found your words, I devoured them; they became my joy and the happiness of my heart”? (Jer 15,19). You may not have had the experience in those days that you found God’s Word, but you found a job that was related to God’s Word! And you may not have “devoured” it, but may have been a bit uncertain about the new venture at the beginning. But now – 30 and 20 years later – would you not agree with Jeremiah that this service of he Word has become the “joy and happiness” of your hearts? Those dates and events did not make any headlines in the papers. But they certainly were important days – first in your personal biographies and then, I dare say, in the biographies of other people as well. On April 1, 1979, you, Fely, together with Lettie Taberdo, started the pioneering work of getting John Paul I Biblical Center (JPIBC) off the ground – together with yours truly and the unforgettable Sr. Henrietta OSB. And ten years later you, Christa, started your work in the General Secretariat of the Catholic Biblical Federation (CBF), at that time still called World Catholic Federation for the Biblical Apostolate (WCFBA). It may just have been by a mere chance that you started your work – in Vigan and in Stuttgart – on that same calendar day, but ten years apart. You have met personally only many years later – during the Hongkong Plenary Assembly, if I remember correctly – but you have been in contact with each other before since JPIBC was an Associate Member of CBF, indeed the first one of the Philippines. In two different places far apart and in different functions and positions, you dedicated yourselves to the same work, the ministry of the Word: Fely, the trained catechist and professional teacher as staff member of JPIBC, and Christa with her fluency in English, French and Spanish – aside from her native German – as foreign language secretary in the CBF General Secretariat. Though different as to qualifications and occupations, your common title – the highest one I can think of – was certainly “co-workers in the ministry of the Word”. In fact, this is how I considered you when we were working (and at times praying!) together. In fact, in 1984 – five years after starting with you, Fely, and five years before starting with you, Christa, I entitled my acceptance speech as General Secretary “Your Co-Worker”. Yes, co-workers in the ministry of the Word we have been and for this, I and many other friends near and far owe you our deep gratitude. With your 30 and 20 years of work in JPIBC and in the CBF General Secretariat, we are celebrating 50 years of dedicated service to the Word. Of course, you also had to make a living. But with your qualifications, both of you could have landed more profitable jobs. But you settled for a more modest salary because work in JPIBC and CBF was not just a job for you. Even though you may not have had a clear idea about what you were getting into when you started in 1979 and 1989, from my observation I can say that both of you grew into something which – looking back after 30 and 20 years – you now would consider your vocation. In both of you I highly appreciate your dedication, reliablity, correctness as well as your ability and your willingness to think along – instead of just doing what you had been told. Just to mention this, though much more could be said. Of course, the director of JPIBC and the General Secretary of CBF are more in the limelight – may they like it or not – than the staff. I many not have been consistent in this, but I considered it both fair and necessary to draw attention to the fact that the credit for what had been achieved would not go only to the director or General Secretary: what would they be without their staff! Even though I do not have any longer any position in JPIBC and CBF, I would like to underline, that JPIBC, i.e. the biblical-pastoral ministry in Northern Luzon, in the Philippines at large and even beyond its boundaries world-wide, owes very much to your dedicated service, Fely. And likewise, through your efforts, Christa, the Federation has grown in many regards. People who have never seen you, have benefitted from your zeal! Often your work has been monotonous and a matter of routine, and it has not always been given the credit it deserved. But rest assured that no effort will be have escaped the attention of Him in whose service we all stand in different ways. I joyfully and solemnly give the “WORD ALIVE AWARD” to you Fely and Christa. This is the first time that this award is given to anyone. It is given only to special people who have dedicated their lives to making the Word alive in their own lives and in the lives of others in the Biblical – Pastoral Ministry. In the name of the hundreds of Lay Women and Men, Directors and Coordinators in the Biblical Apostolate in the Philippines and all partners in the minsitry of the Word, I bestow on you Fely and Christa the “WORD ALIVE AWARD” on the occasion of your 30th and 20th anniversary, years of dedicated service in the Biblical Pastoral Ministry. May you continue to be an inspiration for all the lovers of the Word to live by the Word, “to make his life our life, his mission our mission”. Given on the 1st of April in the year of our Lord Two Thousand and Nine. Fely and Christa, thank you very much for keeping us alive in the Word through your good example of dedicated and selfless service for God’s people in the Biblical apostolate.